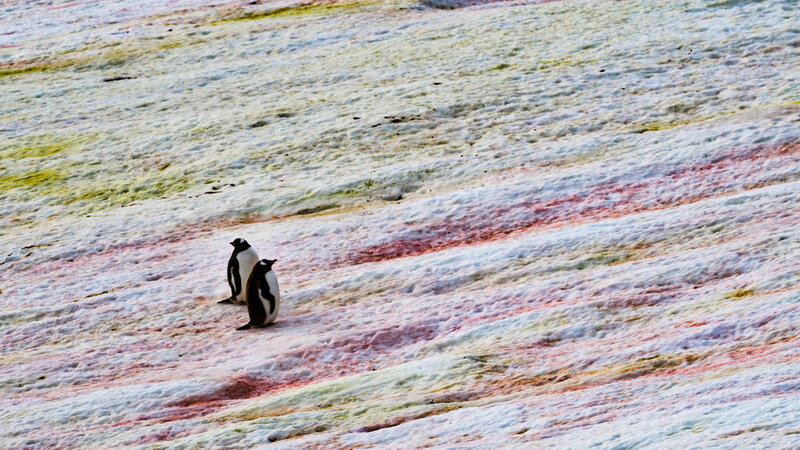 Few places on Earth are as remote, or as inhospitable to life, as Antarctica and the Subantarctic Islands. Now, after several trips to region, Will feels like we has started to chip away at this challenge. So, to help our group of future Antarcticans that join us on our expeditions, he decided to share some of the lessons he has learned after numerous trips to Antarctica and the Subantarctic Islands. 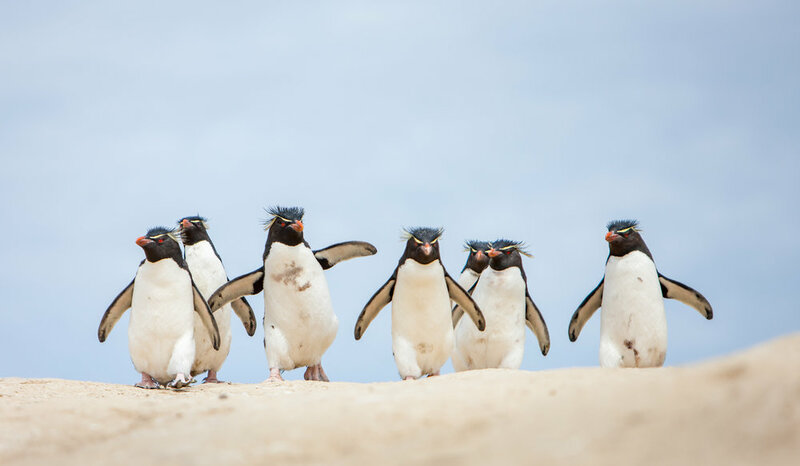 Being confronted with a penguin colony can be sensory overload. In every direction busy birds can be seen going about their days—building nests, tending eggs or chicks, chasing off predatory skuas, and squabbling with one another. Knowing which point to point your camera at can be a tremendous challenge! In these situations Will says he learned to pick out a few birds and then just wait and watch. By being patient you will find that natural behavior unfolds in front of you and when it does you will already be in the perfect position to capture it. Something else happens as well—the birds in these places have no innate fear of humans, and so are actually quite inquisitive. If you sit down and remain still you becoming even less threatening and often birds will come up and check you out. Penguins will also start pecking at your sleeves and shoelaces! This makes for great wide-angle portraits. Few birds are as interesting and fun as penguins. So try to capture their personalities in your photos. The single most important thing you can do to capture impactful wildlife portraits is to get down low, on the same level as your subject. For penguins this either means lying down in the snow or flipping out the screen on your camera and holding it down below your knees. The low perspective not only helps the viewer connect with the animal, it also moves the background out of the plane of focus, which isolates your subject and helps make it “pop”. To capture a successful portrait, you need to make sure your focus is spot on. For animals, this means making sure the eyes are tack-sharp and then selecting an aperture to give you the depth of field you need. If I’m photographing a single animal, I often shoot wide open to get a shallow depth of field and isolate my subject. Penguins hop around surprisingly quickly and with a telephoto lens, you don’t have a lot of leeway in terms of focal plane. I therefore recommend shooting in continuous auto-focus mode and placing a single focus point over the eye so that the focus is continually updated until the moment the shot is taken. This means you have to practice moving your focus point around the frame quickly in order to recompose your shots. Sometimes cameras might mis-focus slightly, or the animal might blink and you might not realize this at the time—and so, Will recommends capturing 2 or 3 shots at a time just to be safe. It was the wildlife that first drew Will to Antarctica, but it was the landscapes that blew him away; imposing jagged peaks, glaciers tumbling into the ocean and beautifully sculpted icebergs set a spectacular stage. Whenever possible look for scenes where You can show the animals in their environment. Often this means trading the telephoto lens for a 70-200 or 24-70. 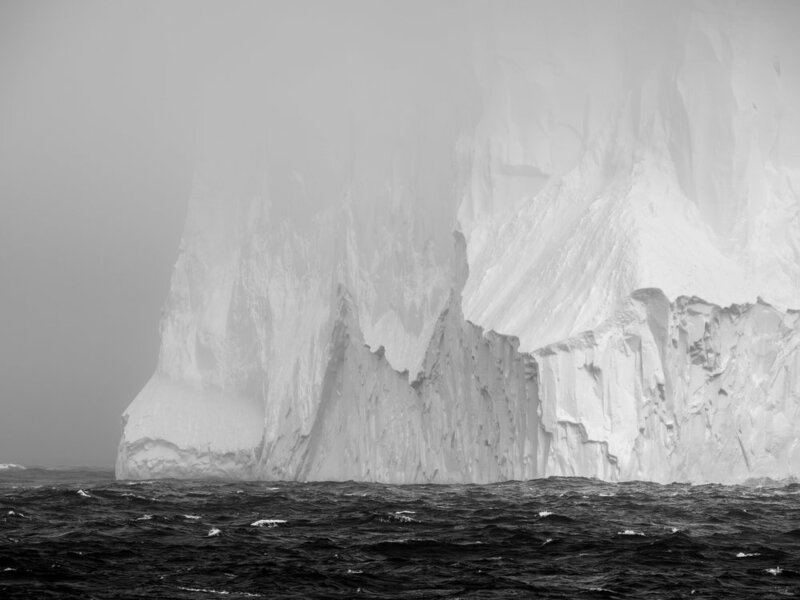 These will be the type of images that capture the essence of Antarctica. The weather in this part of the world can be both unpredictable and extreme. As a result, you never quite know what today, or the next day, has in store for you. Rather than being an inconvenience, Look at the diverse weather as an opportunity to capture interesting images. Maybe it is fierce wind whipping snow over the crest of a hill, giant snowflakes drifting down over a penguin colony, rough seas pounding against the base of a tabular iceberg, or a ray of sunlight melting the snow on a mountainside. Whatever the conditions, it is the varied weather that makes every trip to the region different and gives a unique twist your photos. Embrace it! Will Burrard-Lucas is a wildlife photographer. 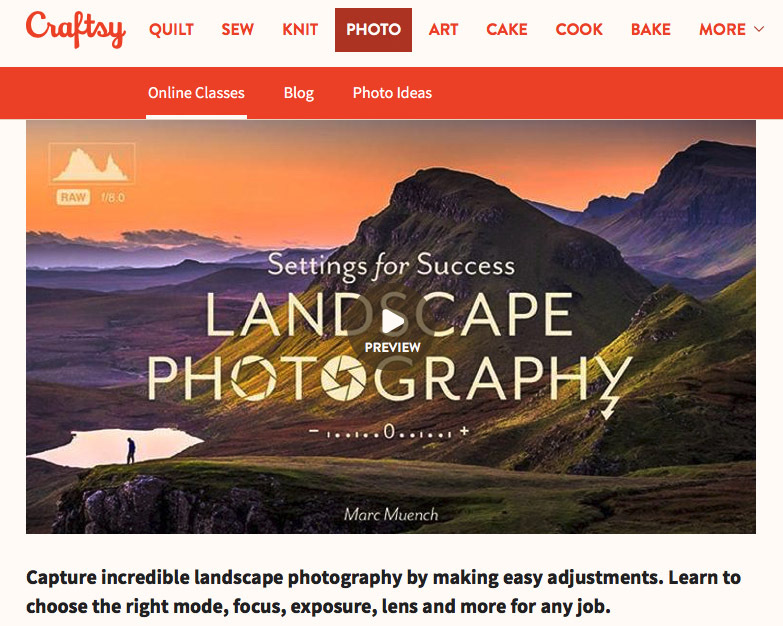 He leads workshops in Africa and Antarctica for Muench Workshops and develops equipment for camera trap photography through his company Camtraptions. You can follow @willbl and @muenchworkshops on Instagram. 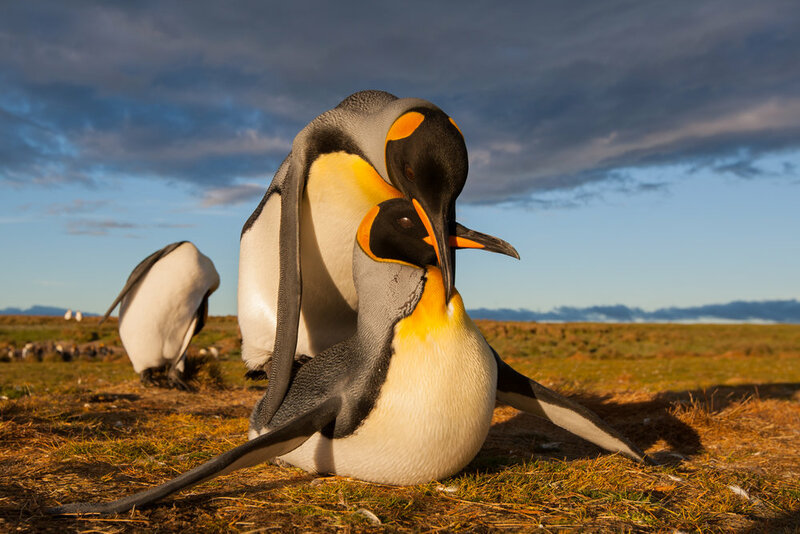 Please consider joining Will, 9 other Muench Workshop PRO photographers and a team of 8 Expedition Leaders & Naturalists in the Falklands, South Georgia, and Antarctica in October of 2020! Its going to be an EPIC expedition! Our Antarctica Expedition for December 2018 began with large tabular icebergs as we approached the South Shetland Islands. Further south we saw even more tabular icebergs, in spectacular light. We had a perfect landing in gently falling snow, at Cierva Cove, where we spent time with gentoo penguins. Another calm landing, was had in Paradise Bay, surrounded by gentoos, feeding humpbacks, nesting cormorants, and even a leopard seal. We followed this up with a traverse of the legendary Lemaire Channel, freshly blanketed in snow, and festooned in gleaming rime ice. We experienced more dramatic light through Neumayer Channel, passing a pair of killer whales, and icebergs laden with hundreds of crabeater seals, before landing at historic Port Lockroy. After a blustery entrance through Neptune’s Bellows, we landed at the black beaches of moody Deception Island. Our final landing was at Half Moon Bay, where the glorious sunshine made up for some of our less ideal weather conditions early on! On board our ship we delivered classes on Lightroom library and develop module, on The Art of Seeing, and on Wildlife Photography Techniques. We had naturalist lectures on all of the wildlife, geology, ice, and ecology of the region. We had several of our signature image review and critique sessions, covering images from all guests that wanted to share. All in, we had 13 landings and zodiac cruises. 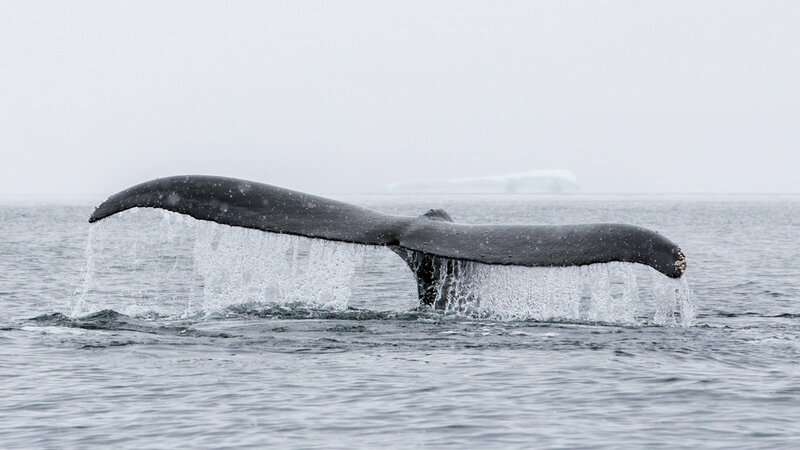 The first two were cut short due to rough conditions, but then great weather and conditions allowed for amazing photography for the rest of the expedition and 11 more landings and zodiac cruises. And all the while we had great photography from onboard our ship as well. And the dreaded Drake? On the way to Antarctica, it was about normal for one day, and calm the second day. On the way back, it was a “Drake Lake”. We’re headed back to Antarctica in December of 2019, and we have only a few cabins remaining on board our private ship. Join us! 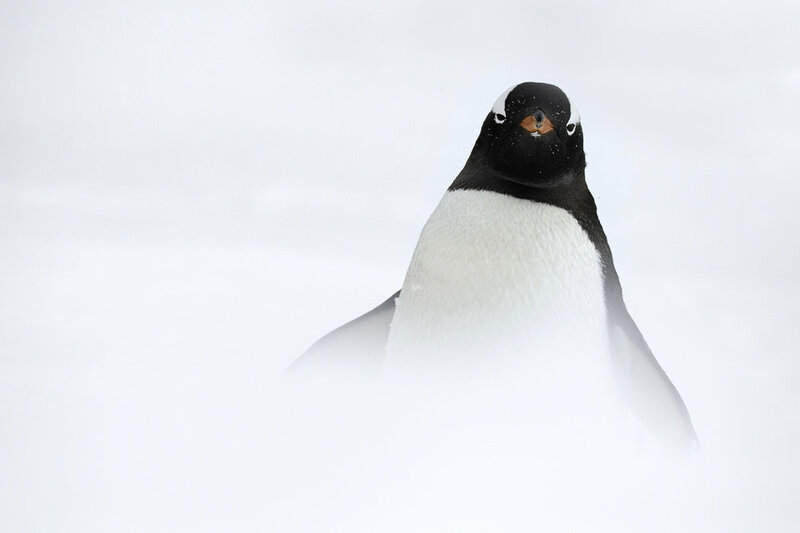 Muench Workshops Pro Juan Pons: This is my favorite image from this year’s trip to Antarctica, and this image was one year in the making. Last year on our visit to Half-Moon Bay I noticed this small gap between two boulder fields where penguins were cresting over a hill while being framed perfectly by the distant landscape in this breathtakingly beautiful area. For a variety of reasons, not least of which is the unpredictability of wildlife, I was unable to make the picture I envisioned. This year I was very eagerly anticipating our visit to Half-Moon Bay with visions of making the perfect image. The weather was beautiful, the light was great, now the question was, would the penguins cooperate? Well, cooperate they did and I was able to make the image I had envisioned a full year before. I was thoroughly pleased, but more more importantly, I was so happy that I was able to instruct a group of about 20 workshop attendees on what was unfolding before us and get them ready to capture this moment and we all got to make a memorable image. 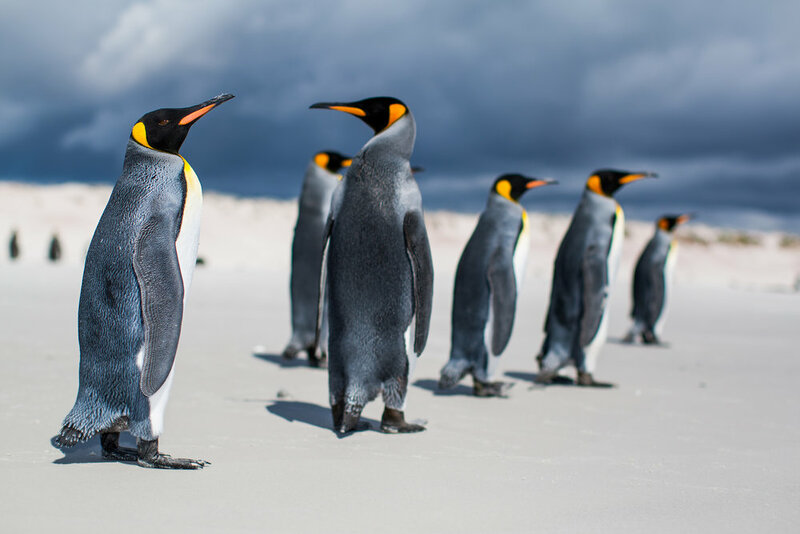 Muench Workshops Pro Lisa LaPointe: "It seems improbable that warm blooded creatures can exist in such an inhospitable place, but they do survive—and thrive—in Antarctica. Many, such as this leopard seal, are top predators. One of the advantages of photographing from nimble Zodiacs is the ability to get an up close, eye-level view with marine mammals, and to capture intimate portraits of them in their extreme environment." 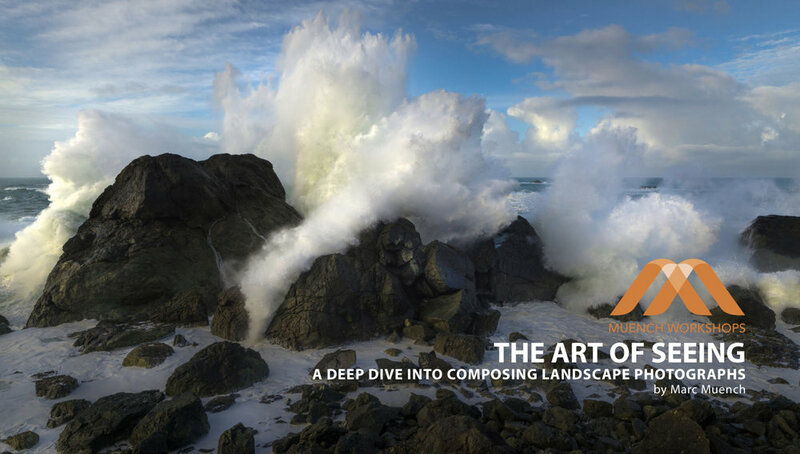 Muench Workshops Pro Will Burrard-Lucas: This is a photograph that I have always wanted to take. When we landed at a Gentoo penguin rookery during heavy snowfall, I knew my chance had come. The fresh snow was deep and we sank down almost to our waists as we forged a path up from the zodiacs. This penguin was on its way up from the sea and had a lovely clean belly (unlike the muddy penguins coming down from the nesting site)! I crouched down to get the penguin above the horizon line and used a wide-open aperture to get shallow depth of field to isolate the penguin and the large falling snowflakes. A fast frame rate and continuous AF helped me capture a sharp image as the penguin hurried past. Sony a7rIII, Sony 400mm f/2.8. ISO 100, f/2.8, 1/800s, handheld. 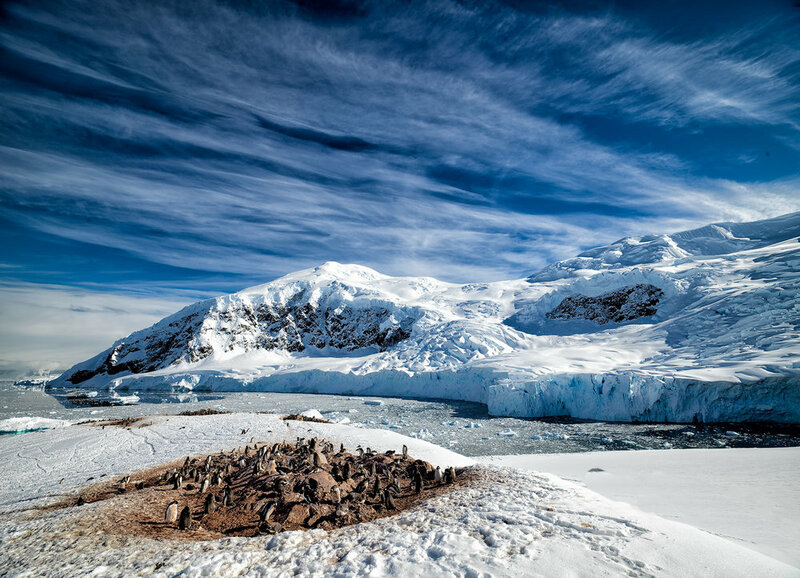 Muench Workshops Pro Michael Strickland: The vast untouched wilderness of Antarctica bewilders the mind. Sailing through the Neumayer Channel, the wind stopped and the water turned to glass, while the setting midnight sun began to break through the wisps of last remaining snow and cloud cover. While the sun never completely broke through, its presence warmed the scene and produced some of the more breathtaking light I've photographed. 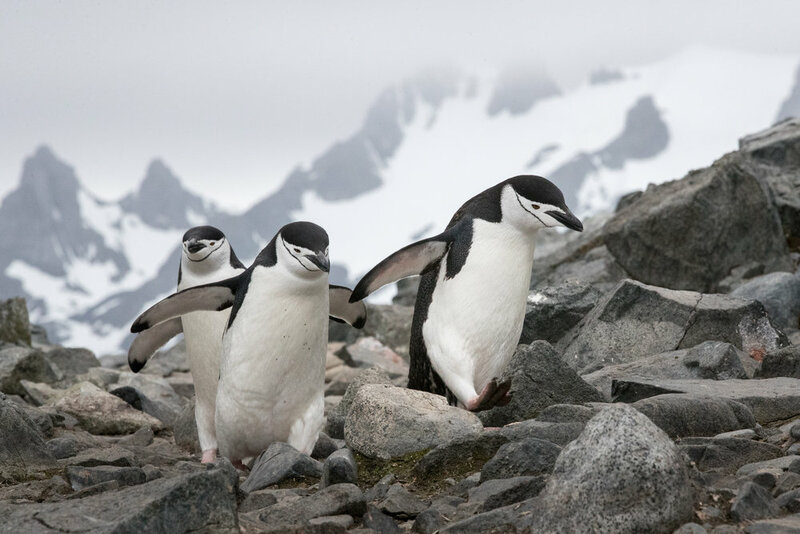 Muench Workshops Pro Kevin Pepper: Penguins are at almost every landing in Antarctica. After taking hundreds of photos, I decided to think outside the box and start taking more unique images of the penguins in unique positions and situations. In this photo, I went up right behind a snow bank and used the foreground snow to blur out the bottom half of the image to give this image a unique minimalist look. 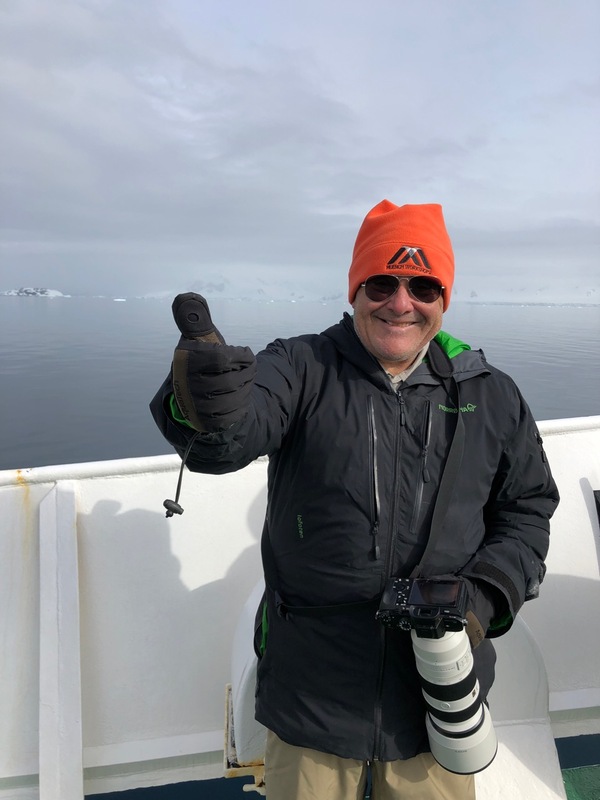 Muench Workshops Pro Randy Hanna: The warmth of the penguin rookery is a stark contrast to the cold waters and ice flows of the Antarctic environment. While photographing in the Antarctic regions, I am simply amazed at all of the life found here and the harsh conditions that must be overcome. Using a wide angle lens and a moderate f/stop, I was able to keep everything in focus from the edge of the rookery to the distant background. Shot with a Hasselblad H6D100C and a 24mm lens. Debunking "You're' crazy, it's way too cold there!"